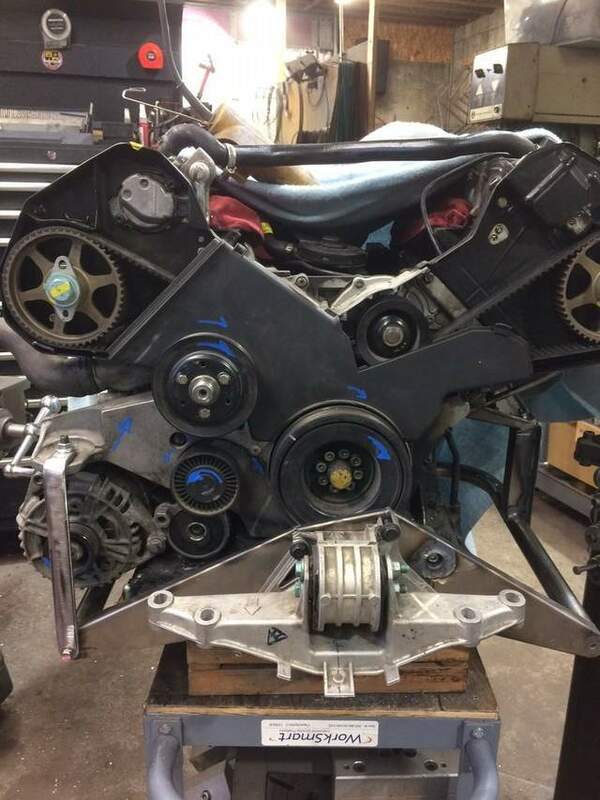 Any progress on V8 engine swap options? If (when) you make these, what sort of price will you be looking at? 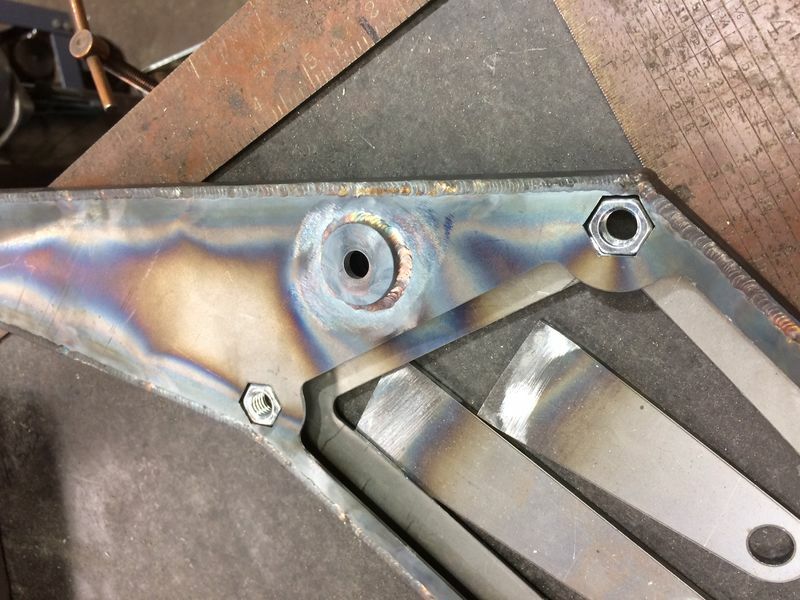 The current part would be about $1000 because there is so much welding. If I run a batch of 5 and bit of redesign hope is to cut that down, but we will have to see. That seems fair. Would it be powder-coated or at least painted for that price? ... If I run a batch of 5 and bit of redesign hope is to cut that down, but we will have to see. I'd argue that I get #1 spot because I initiated the conversation about him selling them. But 2 of 5: B6T. 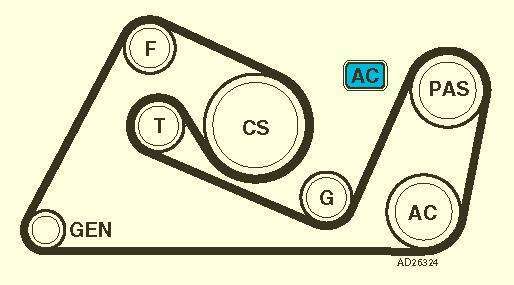 Plan is to run endurance races with a number of drivers, figure 2 hour stints. Anything I can do to make it easier to drive will make us faster and more consistent, plus we will be running 245's all around. PM with what you have for PS rig. What series are you planning to run in? I'm building mine for WRL endurance and NASA GTS. Update, here is the front of the cradle with all mount points. I have picked up the motor on the OEM Audi motor mount location AND found I can attache to the motor where the idler pulley mounts! I am deleting the AC and PS pump so this works great for my car. The cool thing about is I can use a different spacer and this will sandwich the pulley into the stack and one can run all accessories. I think we are ready to go but I want to do one more test fit next week and make sure I didn't miss something. This also looks like it will be an off the shelf belt too, should have the belt on Friday to confirm. Images of the pulley mount location. Looks good Dave. I probably was going to get rid of the PS pump and AC compressor anyway. How is the positioning working out? Are you looking at an modification to the firewall, or just the top engine cover area? I cut my front firewall a little, but in retrospect, I probably could have hammered it out enough. Thanks, all feel quick and dirty to me. 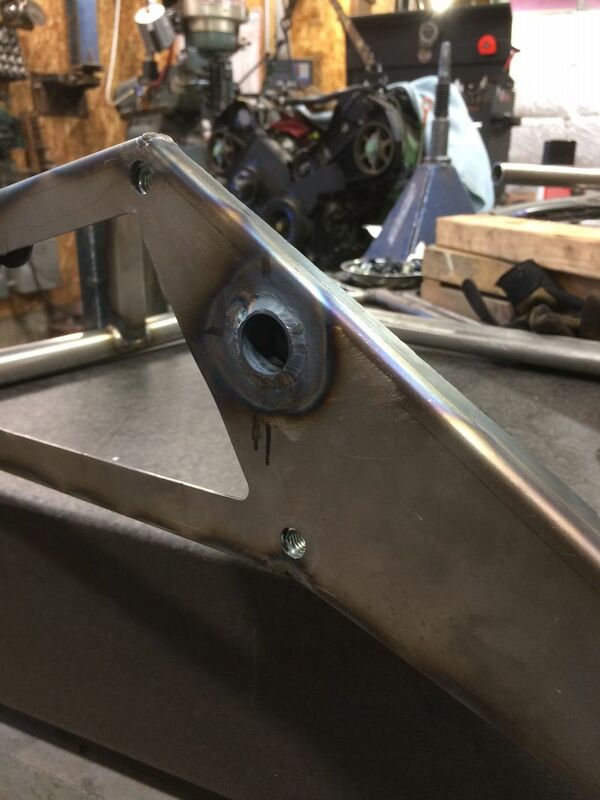 32 year building bicycle frames has given me a bit of practice. I will do a test fit tomorrow eve and get pics of final installation. Once everyone know where the cradle will get you, then I'm happy to make more of them. Cross your fingers it's good enough. The belt run works! Off the shelf belt too, 600K7. My belt routing is slightly different, coming up and over the tensioner after the crank pulley. I used a 6PK1220 belt. 6 rib? I had the hardest time finding short 7 rib belts, D&D has a few option. Not to poop on your parade, but are you sure that tensioner position is going to work? 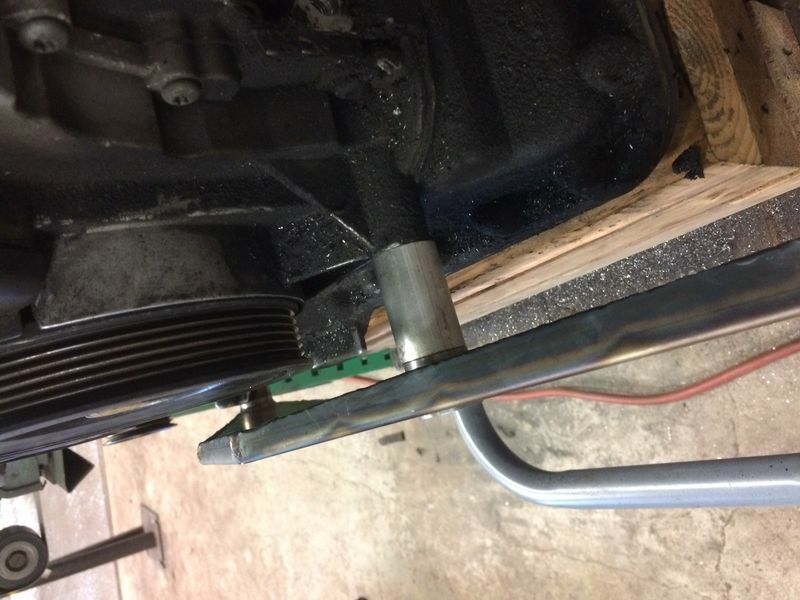 When you reference the stock belt routing you'll see that the tensioner is the very last contact point on the belt before it goes back onto the crank pulley. This means the tensioner is at the point in the belt where the actual tension is the least, as the belt isn't actually driving any accessories. 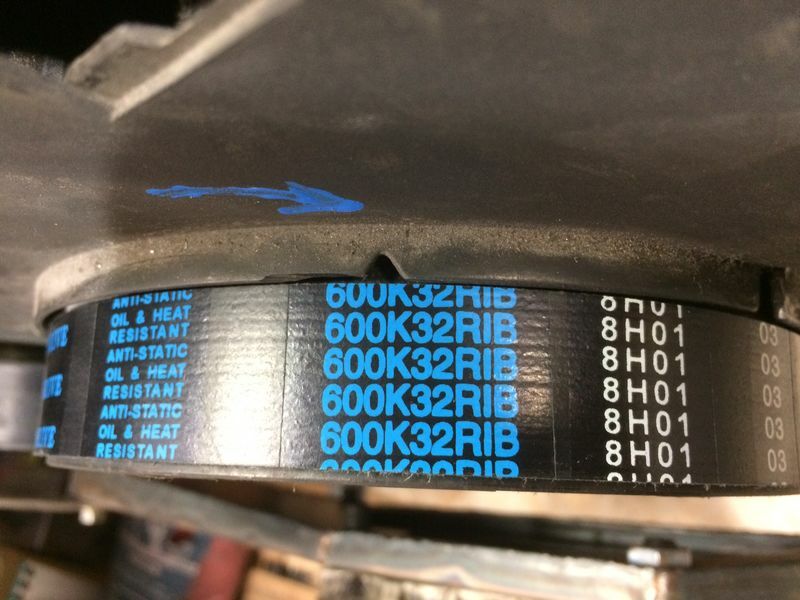 This leaves it to simply take up slack in the belt where the most slack would occur since the belt at that point is loosest as there is no tension from driving anything. 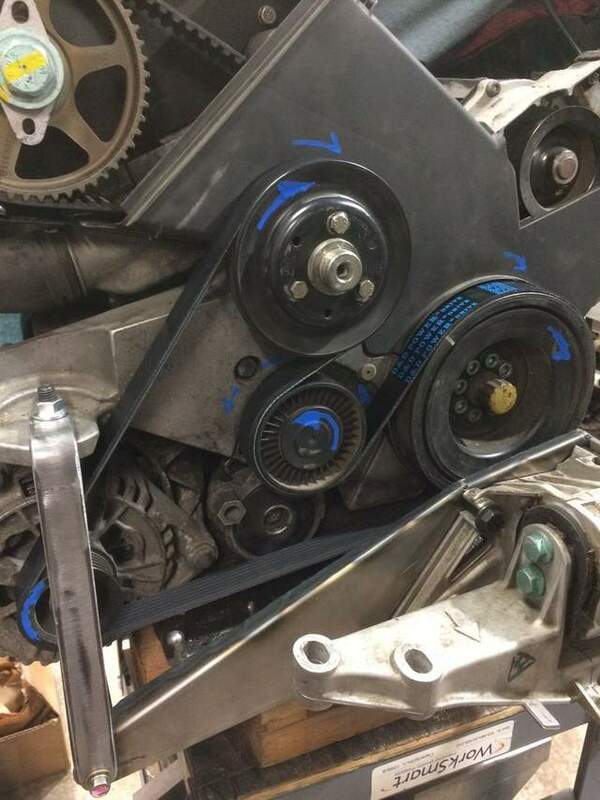 But when you route the belt as you have, the tensioner is now the first contact point on the belt, which means it is subject to the full tension resulting from driving all the accessories. This means that it will deflect and allow slack after the tensioner, allowing the accessories to slip on the subsequent pullies. This is the stock location, I just removed the AC and PS pump. I assume it works since this is how 1/2 million Audi's and VW have been doing it. Yes the tensioner is in the stock location but the belt routing is entirely different and follows what I was saying before. Anyway, just trying to help out and prevent a headache for you in the future.